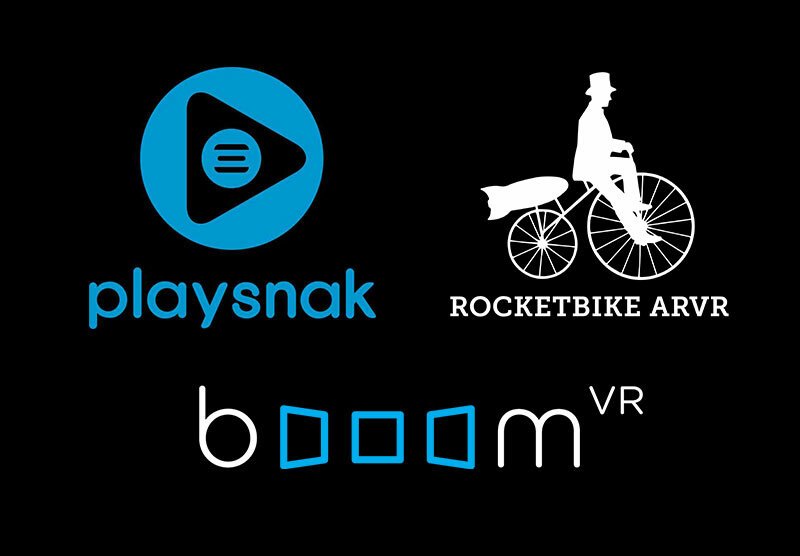 Press Release – Vienna, Austria – August 21, 2017 – Rocketbike ARVR, creators of the virtual reality web browser and content aggregation platform, booomVR, have announced today the formation of a new, strategic, white label licensing partnership with global Next-Generation VR gaming company Playsnak. The technology that powers booomVR will be used to power Playsnak’s upcoming VR gaming platform “Playsnak Realms,” an innovative, new “in-VR” promotional channel for games, sales, community building, news, streaming content and more. Playsnak and Rocketbike ARVR will be at GamesCom in Cologne, Germany this week to demo the new platform, which will feature in-VR teasers and other surprises for Playsnak’s upcoming games. The licensing partnership was inspired by the two company’s shared vision to both, address the needs of the VR industry for more dynamic ways to consume VR content, as well as the need for more powerful, cross platform “in-VR” content publishing, promotional solutions to increase sales and engagement. Founded in 2015, Playsnak is a global Next-Generation game company based in Berlin, Germany & Los Angeles, California. Playsnak’s focus is publishing 3rd party mobile games in Asia, the Western market and the development of high-end VR games. For more information, visit http://playsnak.com. It was founded in 2014 by veterans from the games, film, marketing and TV industry, with a roster that includes the likes of Midway, Sony Online Entertainment, Microsoft Game Studios, ILM, Nintendo and Crytek. Rocketbike ARVR is currently developing the “Virtual Reality Content Aggregation Platform” booomVR. booomVR is a virtual reality web browser and content aggregation platform, developed by Rocketbike ARVR. It allows easy browsing, organizing, sharing and publishing of 2D, 3D, Stereoscopic & 360° VR content within the same environment. They are currently expanding their white label licensing and content partnerships and will be launching their core platform in 2018.